The Third Squad reports the arrests of three Hempstead men for Robbery that occurred on Sunday, December 1, 2013 at 3:00 am in Hempstead. Hempstead, NY - December 2nd, 2013 - The Third Squad reports the arrests of three Hempstead men for Robbery that occurred on Sunday, December 1, 2013 at 3:00 am in Hempstead. According to detectives, a 19 year old male victim was walking his girlfriend to her car that was parked on Main Street when three unknown male blacks exited a black charger and approached them. Subject one was wearing a black hooded sweatshirt and carrying a black handgun that demanded property from his pockets. Subject two was wearing a black hooded sweatshirt and subject three wore a blue hooded sweatshirt. All three had their faces covered with black masks. After taking a Samsung cell phone, gold chain and a Gucci belt from the victim all three subjects ran back to the black charger and fled north on Franklin Avenue. A short while later a First Precinct Police Officer who was responding to the area after hearing a description observed the charger with the subjects and conducted a Vehicle and Traffic Stop with the assistance of two Hempstead Police Detectives on Greenwich Street and Flint Avenue. Defendants Bashirou Ba, 19, of 55 Azalia Court, Martin Francois, 20, of 100 Terrace Avenue, and Diquan Williams, 19, of 18 Lee Street were all removed from the vehicle and placed into custody without incident All proceeds from the Robbery were recovered from the auto. There are no injuries reported. All three defendants are charged with Robbery 1st Degree, two counts Robbery 2nd Degree, and Possession of a Dangerous Weapon 4th Degree. They will all be arraigned in First District Court in Hempstead on Monday, December 2, 2013. 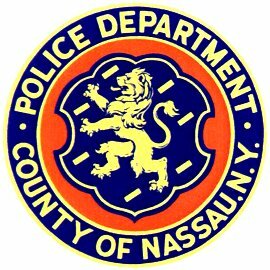 Subject: LongIsland.com - Your Name sent you Article details of "Nassau County PD: Three Arrested for Hempstead Robbery"